Kirsten is a California Licensed Clinical Social Worker, L.C.S.W. #29893, and the owner of Indigo Waters Counseling. Kirsten is Bi-lingual. (Placer County Certification). Raised in Southern California, attended public schools. At an early age, Kirsten became aware of how cultural and economic differences impacted classmates. Set early life goals to help to ease cultural and class divisions. Worked for Head Start in college, helping families living in extreme poverty, deepening her cultural awareness. Earned a Bachelor of Arts degree in Latin American Studies, Spanish emphasis, University of California at Santa Cruz, in 1996. Program Supervisor for the Head Start program, providing child development, nutrition, health, and supportive services. Kirsten holds a Masters Social Work, M.S.W. degree, from University of Nevada, Reno, 2003. University of California Certified “Trainer of Trainers”, Parent Child Interactive Therapy, (P.C.I.T. ), 2005. Dedicated to strengthening education, current (since 2008) Trustee, & past Board President, Tahoe/Truckee Unified School District. Here's part of her story. Helping you is the other part. 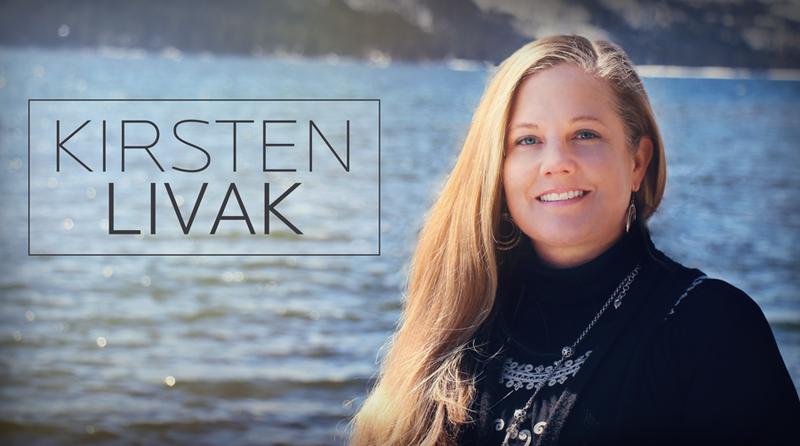 A resident of the Tahoe/Truckee area since 1992, Indigo Waters Counseling owner Kirsten Livak was raised in the Southern California community of Rancho Palos Verdes, where she attended public schools. As a G.A.T.E. student, and as a child like so many others desiring to be a teacher, she became aware of the inherent discrepancies and inequalities in the delivery of academic content across different populations, and how economic, social and cultural influences altered children’s aspirations and potential for success. She has carried those early experiences with her, and her desire to help ease the cultural and class divide that exists has always been at the forefront of her life. During her undergraduate studies, Kirsten worked for Head Start as a home visitor, helping families living in extreme poverty, further raising her cultural and economic awareness and serving to intensify her interest in diversity studies. She obtained her B.A. Degree in 1996 in Latin American Studies, with emphasis in studying Spanish, history, social justice, religion, gender issues, and the pedagogy of oppression. Kirsten is bi-lingual, having completed the Spanish Immersion program at The University of Michoacan, in Morelia, Mexico. Following college, Kirsten played a key role as Program Supervisor of the Early Head Start program – a home visiting program in the Tahoe and Truckee communities – that provides child development, nutrition, health, and supportive services to low-income families from birth to the age of three. She further advanced her understanding of early learning issues by obtaining a Trainer of Trainers certification from the West Ed Program for Infant Toddler Caregivers; an intensive program with emphasis in early learning, attachment theory, and social, emotional and cognitive development. Kirsten entered the Masters in Social Work program at the University of Nevada at Reno in the fall of 2000, and worked as a Service Integration Coordinator at the North Tahoe Resource Center, and then at Sierra Family Services as a bi-lingual mental health therapist for part of her post-masters clinical internship. In 2003, she graduated with a Masters in Social Work, (M.S.W.) degree, University of Nevada, Reno. In 2005 she completed a specialized 18-month training program on Parent Child Interactive Therapy through the University of California at Davis CAARE center, and provided this highly regarded evidence-based behavioral modification modality to both English and Spanish speaking families while completing required internship hours at Nevada County Behavioral Health. Having completed the required 3200 hours of supervised clinical social work, Kirsten passed the exams required by the California Board of Behavioral Services, receiving her certification as a Licensed Clinical Social Worker, or LCSW. In addition to owning Indigo Waters Counseling, Kirsten also consults with the Early Head Start and Head Start programs, providing early childhood mental health consultation services, including home visits and preschool anecdotal observations. A life-long passionate believer in the power of education, Kirsten’s background and experiences also help her bring a unique perspective to her role as a Tahoe Truckee Unified School District Trustee, and past Board President, serving as a strong advocate for strengthening the educational system in our nation. She understands the essential roles families play in the development of a healthy relationship between learning and the individual – roles that nurture the seeds of intrinsic motivation, engagement, and the wonder of learning that all children deserve. Kirsten also strongly believes that the non-academic needs of all children – regardless of their background, their language or culture, their immigration status, or their class – for physical, social and emotional health are the foundation upon which both strong academic performance and a happy, successful life are built.